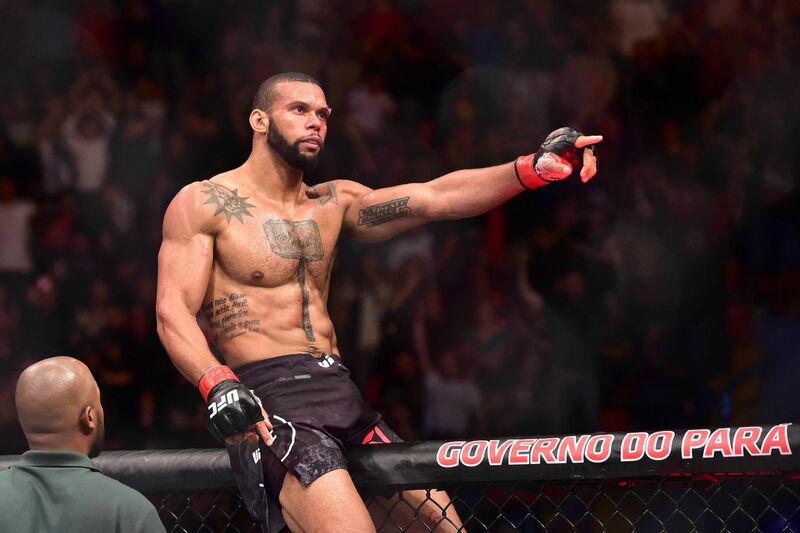 Get the Full StoryUFC middleweight Thiago Santos will be ready if he is needed to fill in for either Brad Tavares or Israel Adesanya in the main event of the TUF 27 Finale. Just in case Brad Tavares or Israel Adesanya are forced out the TUF 27 Finale main event on July 6th, middleweight knockout artist Thiago Santos will be ready to fill in if he s needed. On Wednesday, MMA Fighting reported that the UFC will bring Santos to Las Vegas next month as a backup plan for the fight between Tavares and Adesanya. Last week, UFC president Dana White told TMZ that Tavares was out of the fight after breaking his foot and would likely be replaced by Santos. In a confusing turn of events, Tavares dismissed White s claims by telling the Hawaiian outlet Khon2 that his fight Adesanya was never in question, and it was merely a miscommunication that caused the confusion. Regardless of this, Santos will still travel to Vegas to serve as a backup for the fight. The polished striker Adesanya 13-0 already has two UFC victories under his belt since making his debut for the promotion in February of this year, whilst the middleweight veteran Tavares 17-4 is currently on a four-fight winning streak, his most recent win being over Krzysztof Jotko in April. After racking up four consecutive knockout victories, Santos 17-6 had his winning streak snapped by David Branch at UFC Fight Night: Barboza vs. Lee in April.